The latest cellular edition of the Apple Watch Series 4 allows you to leave your phone at home and still be connected to your email, photos, calendar – everything that you need to have on the go! 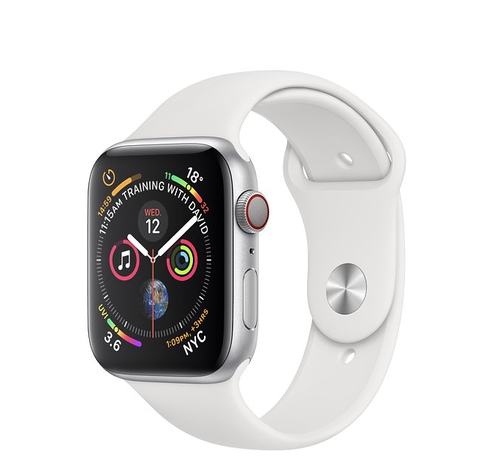 It has a larger screen sizes either the 40mm or the 44mm and a variety of sports loops and bands for you, so you can change and adapt to your needs. If you’ve been thinking about buying a smart watch for a while, don’t go past this nifty, well designed watch. * Price refers to the Cellular model of the 40mm silver aluminium case with white sport band version.